Huge Savings Item! Free Shipping Included! 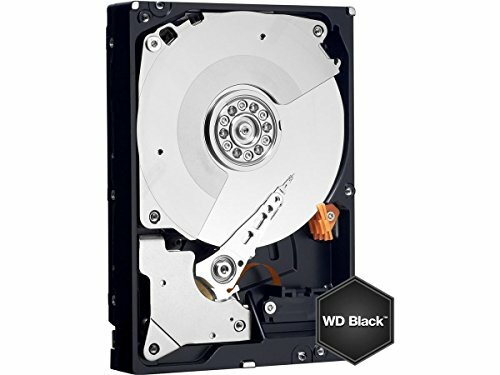 Save 11% on the WD Black 2TB Performance Desktop Hard Disk Drive - 7200 RPM SATA 6 Gb/s 64MB Cache 3.5 Inch - WD2003FZEX by Western Digital at Learning Delphi. MPN: WD2003FZEX. Hurry! Limited time offer. Offer valid only while supplies last. Sophisticated performance enhancing features deliver the speed you need for demanding applications like photo and video editing and Internet gaming. Sophisticated performance enhancing features deliver the speed you need for demanding applications like photo and video editing and Internet gaming. High performance, high capacity, high reliability, and cutting-edge technology make up Wd Black, the ideal drive for those who demand only the best. Package includes a hard drive only - no screws, cables, manuals included. Please purchase mounting hardware and cables separately if necessary. If you have any questions about this product by Western Digital, contact us by completing and submitting the form below. If you are looking for a specif part number, please include it with your message.